Antelope brings down cyclist Jump to media player Dramatic footage has emerged of a South African mountain biker being knocked off his bike by a charging antelope. 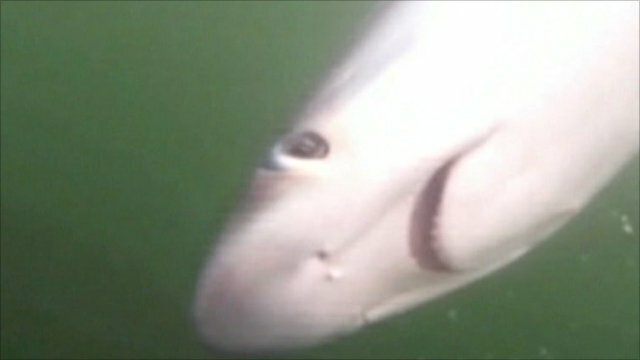 Dramatic shark catch caught on tape Jump to media player A fishing trip for two friends turned into a dramatic event when one of them hooked a thresher shark estimated to be 8ft (2.4m) long. 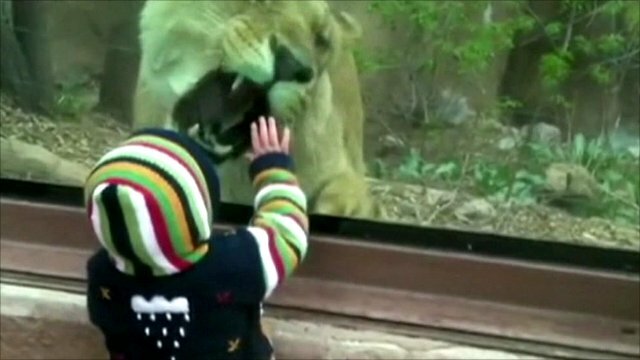 Fearless toddler's lion encounter Jump to media player A hungry lion takes a special liking to a toddler while he is on a visit to a zoo in Colorado Springs. 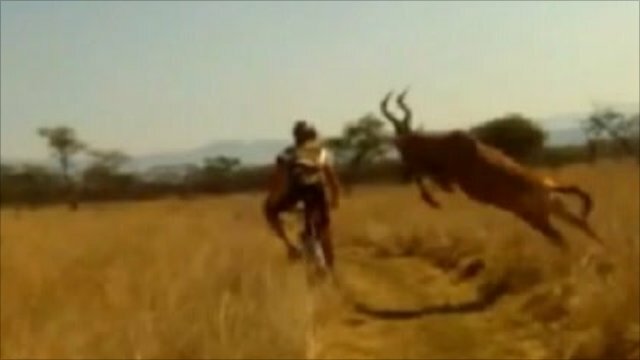 Dramatic footage has emerged of a South African mountain biker Evan van der Spuy being knocked off his bike by a charging antelope. The clip, which was filmed by Evan's colleague, Travis Walker has already been viewed more than a million times on YouTube. The incident happened during a race across South Africa's Albert Falls Dam and Game Reserve. Both the rider and the antelope were unhurt.